Minot is known for being the home of the Minot Air Force Base and the city is rich in history – from the Roosevelt Park Zoo to Scandinavian Heritage Park with replicas of traditional houses and the beautiful Stave Church. North Dakota and Minot will welcome all attendees to the area. Minot has exploded due to the energy boom at nearby Bakken oil field. Many new hotels, dining options, and activities will keep you occupied in addition to sales at the event. Minot is many things – from a college town to a boomtown – and has the feel of both a big city and a small town. 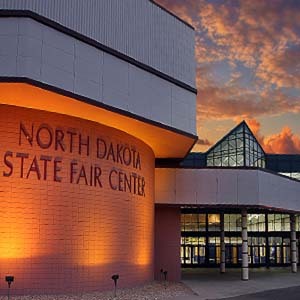 The PRVVC Marketplace Booth Application for the FMCA International Convention, which will be located in Minot, ND is now available by clicking below. Submit this application to PRVVC. April 5, 2019 in order to reserve space. Final payment is due June 24, 2019.
with dues paid for 2019. Although you submit an application for the marketplace, you must also complete the 'FMCA Exhibit Space Contract' furnished here. At 'Choice of Spaces', fill in PRVVC. Submit this application directly to FMCA. The 'Live-In Application' furnished in the FMCA Exhibit Space Brochure and other forms are located here. Any additional forms need to be submitted to FMCA.